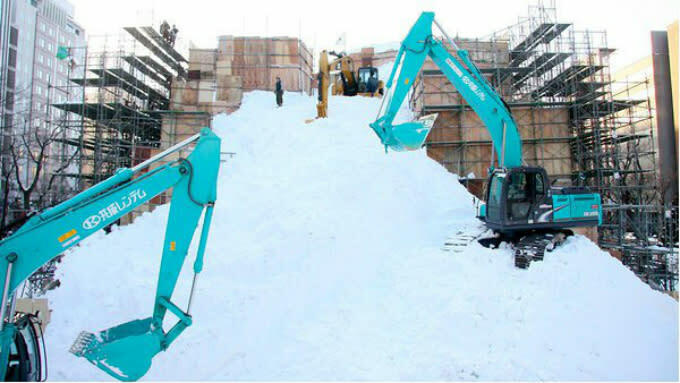 Add this to the never-ending list of weird things that could only happen in Japan. 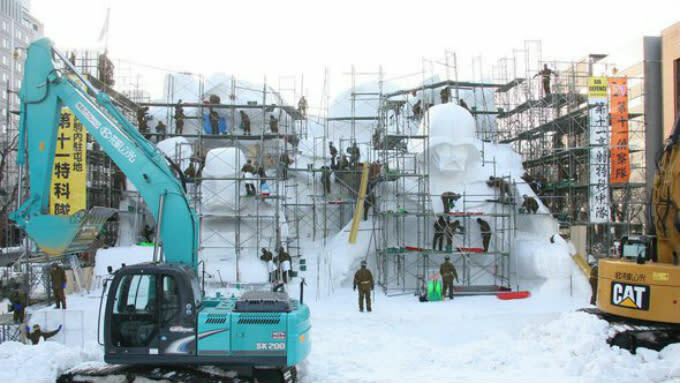 For over half a century, troops from the Japanese Self-Defense Forces have been conscripted into building enormous sculptures for the annual Sapporo Snow Festival. It might sound bizarre, but this tradition has actually been going on since the 1950s. Apparently, it&apos;s viewed as a team-building exercise for the soldiers, not punishment. 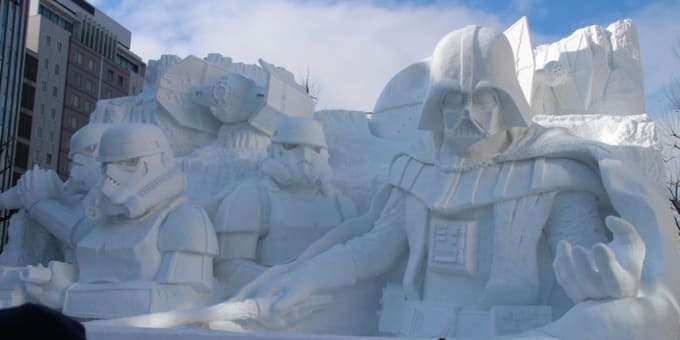 This year&apos;s Sapporo Snow Festival just launched, and you can thank the 11th brigade of the Japanese Self-Defense Forces for constructing one of the highlights of the festival: a gigantic Darth Vader, complete with giant Storm Troopers by his side, of course. 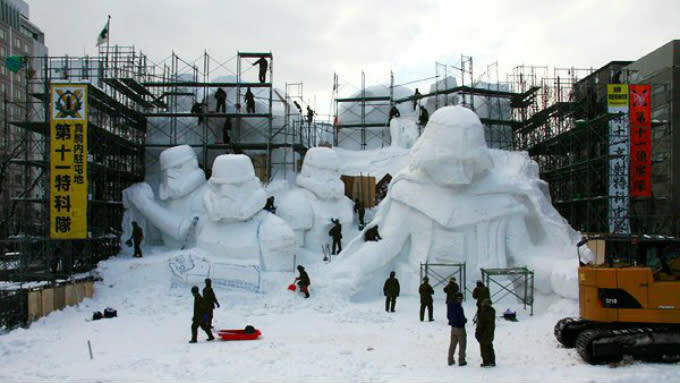 Sponsored by Disney, the sculptures took a month to be completed. We think it&apos;s say to safe the force is strong in Japan.